Wonderful eclectic collection of handbags and sweaters from vintage to modern - plus incredible handmade jewelry. We only accept payments via PayPal. Please contact us if you wish to make other arrangements. Our goal is to satisfy all of our customers! However, due to the used and or vintage nature of some of our items, we are unable to accept returns. All items are sold as is. We try our best to describe each item as accurately as possible but please know that I we are not experts. Some of our information comes from the original owners and we try to show clear pictures of the actual item. If you have any questions about the item, please contact us BEFORE YOU BUY. The jewelry is hand crafted from precious, semi-precious stones, fossils, vintage items and whatever else suits our whim. We stand behind our craft and do our best to describe the beads. Our information is based on our own experience and the description given to us by the wholesalers. If you are interested in an item and want a size adjustment, please contact us. Beads do not like being dropped and the necklaces are best stored flat with cushioning. We cannot accept returns, although we will consider exchanges. 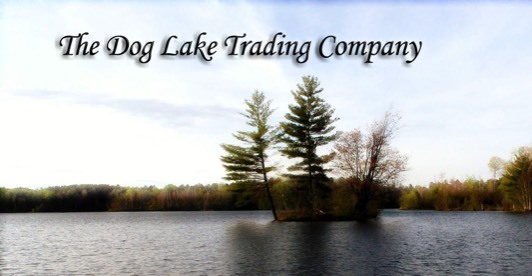 Dog Lake Trading Company will not be responsible for items lost or damaged during shipment without insurance. Insurance is always an option unless otherwise stated in the description. Cost is based on the insured value of the item and the insurance receipt will be sent to buyer to file claim. Items are shipped by USPS Priority mail unless otherwise stated. We are always happy to combine shipping when possible to save money but please be aware that charges are based on package size as well as weight. We will send a shipping quote upon request if you send your zip code and the item numbers that you wish to purchase. We will accept international orders, with the understanding that you must first contact us for a shipping quote and that we cannot guarantee delivery of your item due to the numerous channels, security, customs etc. that it must pass through. We have shipped many items without any problems thus far but please understand this BEFORE YOU BUY.